Los Angeles, California based JHaus is an American made premium denim line inspired by designer Jlynn Hausman’s American-Midwest roots. Being a farmer’s daughter and a small town girl, Jlynn wanted to bring a piece of the country into the city. Creating a high quality product that incorporates her strong roots into the aesthetic was her goal. Great denim should be a staple in any fashionista’s wardrobe, but it can be difficult to find the perfect fit. That is, until JHaus. “Denim is difficult and a very tough business. We have a less is more concept so there is not a lot of embellishment on our jeans. We spent a year perfecting the fits and washes to ensure a premium product.” Lucky for this city, JHaus was recently featured at Phoenix Fashion Week as an Emerging Designer to amazing acclaim, with her show opened by a live violinist performance. 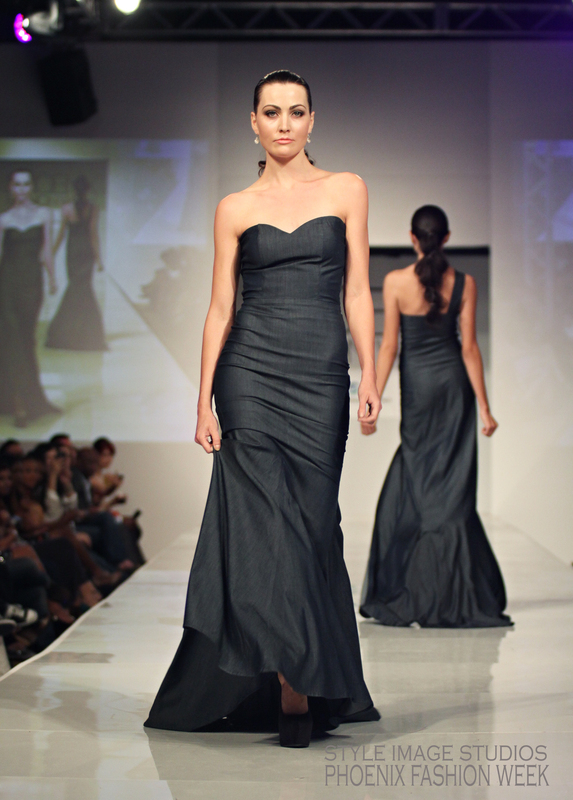 “It was exciting to see the buzz we created from the show we put on at Phoenix Fashion Week. I went back to Arizona a month after Fashion Week and people were still talking about the show JHaus did with the violin player. That was a good feeling knowing we created a positive buzz,” Haussman said. Following her memorable debut at Phoenix Fashion Week, it’s no surprise that Jlynn has been incredibly busy. From her LA Fashion Week show directly following PHXFW, to her recent invitation to show at New York Fashion Week, the JHaus brand is on its way to becoming a household name. What’s more, JHaus was one of three PHXFW Emerging Designers chosen by Zappos.com to sell her designs exclusively on this global ecommerce giant! Stay tuned for an exciting blog feature about this soon! For more information about this hotly anticipated denim designer, visit their website, Like them on Facebook and Follow them on Twitter! *SPECIAL OFFER*: For our fans and followers, JHaus would like to offer an exclusive holiday discount…visit her website and enter code – PHXFW12- for 20% off your next purchase!